Today the U.S. 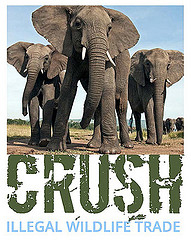 Fish and Wildlife Service is announcing an extension of the submission deadline for the Crushed Ivory Design Challenge until 11:59 p.m. March 31, 2015. This extension is in response to an overwhelming public request for more time to create thoughtful and informative designs. We urge you, and your agency, to be a part of this innovative public awareness effort to help save elephants and endangered wildlife. 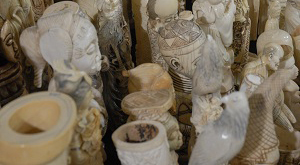 The extended call is for design professionals, artists, and others to contribute their creative talents by submitting a design idea that will use some or all of the six tons of crushed ivory from the November 2013 Ivory Crush in Colorado. The design should be a memorial to the elephants that have been killed for their ivory and should educate the world about the unjust killing of thousands of elephants each year to supply the illegal ivory trade in order to influence the world to stop the consumer demand for ivory. Elephant poaching is at its highest level in decades and it continues to rise. Approximately 100,000 elephants were killed for their ivory between 2010-2012. These animals are being slaughtered across Africa to meet an insatiable global demand for ivory. Scores of the park rangers who work to protect them have also been killed. In November 2013, the U.S. Fish and Wildlife Service crushed approximately six tons of African and Asian elephant ivory that it had confiscated over the past 25 years. The crush kicked off our increased efforts to raise awareness of the illegal wildlife trade and to reduce demand for elephant ivory and other products from endangered species. Since then, we have seen significant progress on this issue. In addition to tightening U.S. ivory trade controls, we have seen other governments, such as Hong Kong, France and China, follow the U.S. lead and destroy some or all of their seized ivory stockpiles, and some major global retailers are vowing to stop selling ivory completely. To build on the momentum of the crush, we have a unique opportunity to utilize the roughly 40 cubic feet of gravel-sized crushed ivory to create an education and awareness campaign that will inform consumers and further reduce the demand for ivory and other illegal wildlife products, ultimately protecting wildlife from senseless killing to supply the illegal trade. We are asking for your help to assist in turning the crushed ivory into an educational tool that can be distributed around the country. Through this pro bono design challenge, the artist will have the opportunity to create a compelling, thought provoking, informative and impactful display that will help the elephants by increasing awareness and supporting the fight against illegal wildlife trade. The outcome of this project will be the creation of an educational tool that will raise awareness of the plight of elephants and other species threatened by poaching and illegal trade and will help motivate people to take action to save endangered wildlife around the world. The design should reflect the overall intent of the U.S. Ivory crush to render the ivory useless so the ideal design will not glorify or add value to the crushed ivory. For example, creating beautiful, ornate sculptures of elephants from the crushed ivory is contrary to the objective of this design challenge. Given the black market value of ivory, the ideal design will take into account potential security/theft risks. For example, embedding the ivory in a structure where pieces can be easily chipped out and stolen is problematic unless it is encased in a polymer or otherwise shielded. All ideas should be conceptualized with a realistic production budget in mind. While we consider this project a worthwhile investment based on its education and awareness value, the cost to produce must be realistic and reasonable (i.e., thousands vs. millions of dollars). The possibilities for this design challenge are endless, but the presence of elephants in the world is not. Help us help them by submitting your most creative and thoughtful ideas. Together we can create awareness and incite change. Please visit www.fws.gov/ivorychallenge for additional information regarding the Crushed Ivory Design Challenge and submit your design.